Number of the week: How many Russians apply for the U.S. Green Card? 265,086 is the number of applications received by the United States from Russia for the so-called Green Card in 2015, reports Bloomberg. This is a record for the country, which has a total quota of just 4,000 U.S. permitsAccording to the source, the figures have doubled over the last decadeThe Levada Center independent poll agency, meanwhile, shows that 71% of Russians consider the global role of the U.S. as negative. 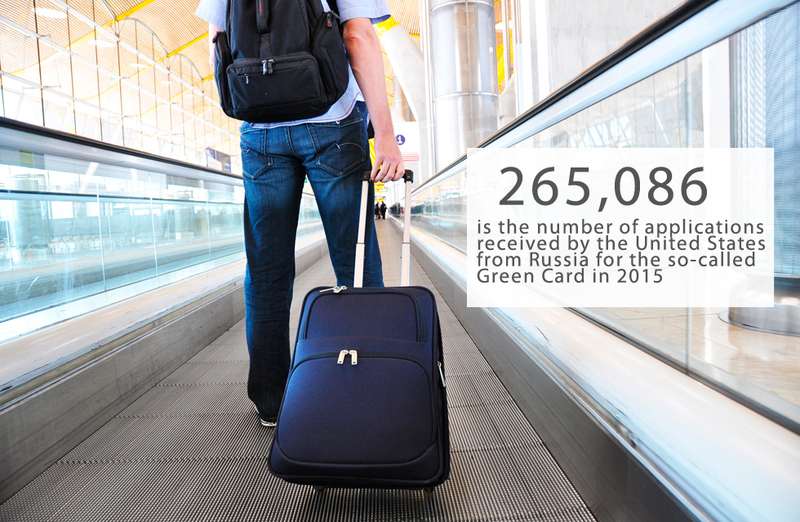 265,086 is the number of applications received by the United States from Russia for the so-called Green Card in 2015, reports Bloomberg. The Levada Center independent poll agency, meanwhile, shows that 71% of Russians consider the global role of the U.S. as negative.